Help provide a solid financial foundation for your "Geotechnical Foundation"! 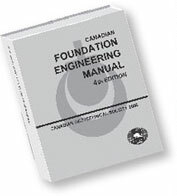 The Canadian Foundation for Geotechnique was established (initially as Geo Contributions) in 1989 to recognize and foster excellence in the geotechnical field in Canada by funding the awards, prizes and distinguished lectures of the Canadian Geotechnical Society and by funding other opportunities for the benefit of the geotechnical profession. The Foundation's financial contributions to CGS programs, which are supported by CGS members' generous contributions, are vital to the success of the Canadian Geotechnical Society. Click here for more information on the Foundation and/or to make a tax-deductible donation. Tax receipts will be issued for all donations over $25. CGS members can also make their charitable contributions to the Foundation when joining the CGS or when renewing their CGS memberships each year, and can take advantage of the CGS's online credit card payment process. Click here to join the CGS, or renew your CGS membership and to make a tax-deductible donation to the Foundation.